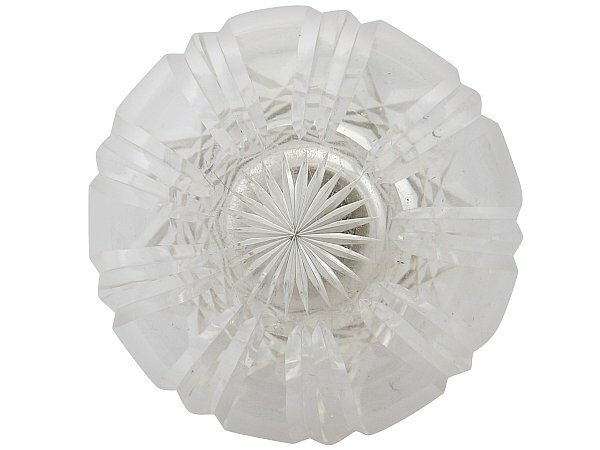 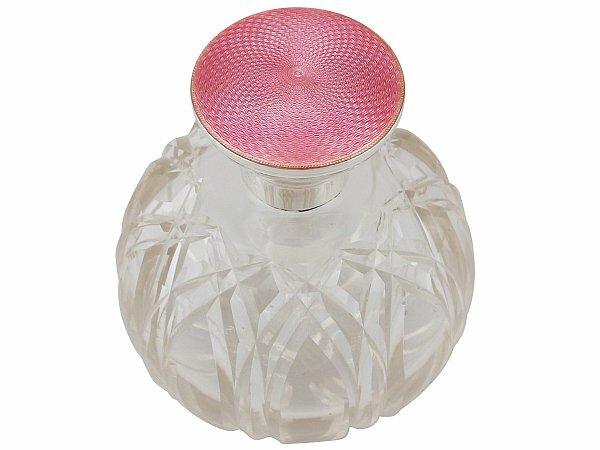 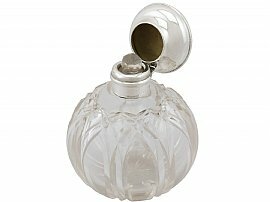 This fine antique George V cut glass scent bottle has a spherical shaped form. 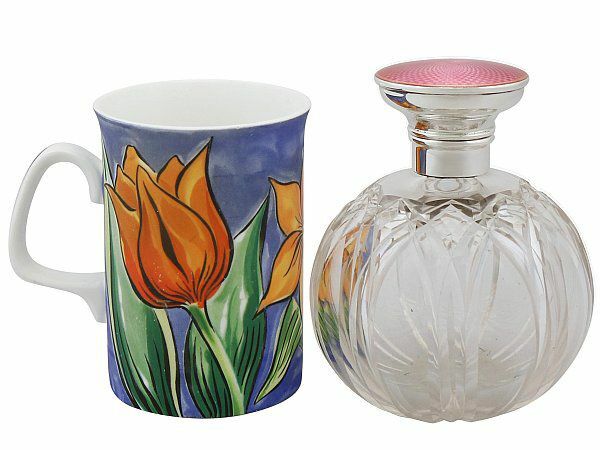 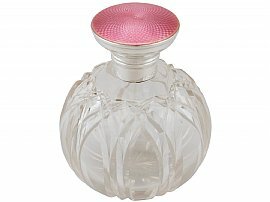 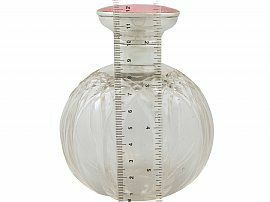 The bottle is fitted with a plain cylindrical sterling silver mount with an impressive hinged circular cover embellished with a pink guilloche panel. 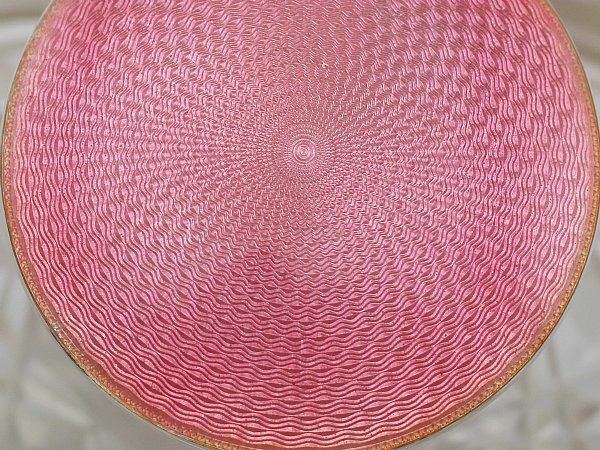 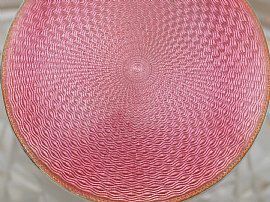 The enamel reflects a concentric ring design, emanating from the centre of the cover. The cover opens to reveal the original glass stopper and gilt interior. 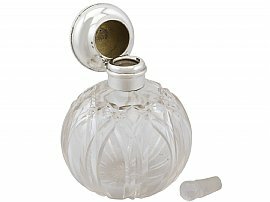 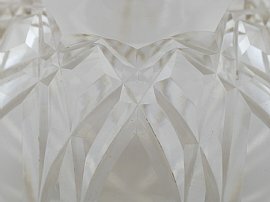 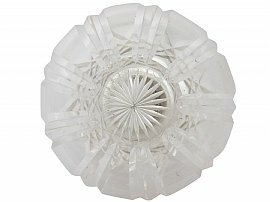 The impressive glass body of the bottle is ornamented with cut glass decoration in an arched, swept design, in addition to a star cut motif to the underside. This antique cut glass scent bottle is a very good gauge of silver, fine quality and in excellent presentation condition. 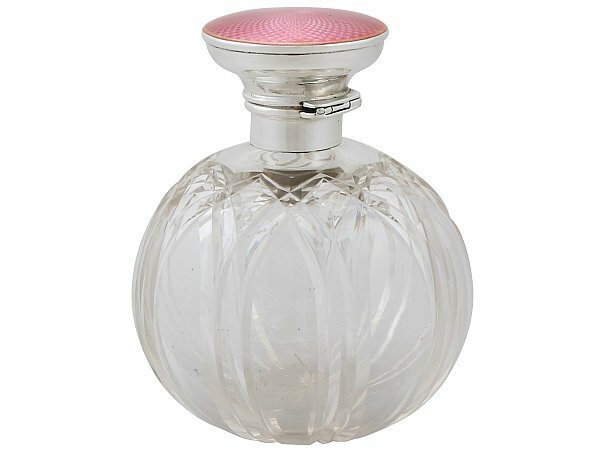 The glass body and enamel panel are in perfect condition. Full hallmarks struck to the surface of the silver mount are all worn and illegible, in keeping with age and location. 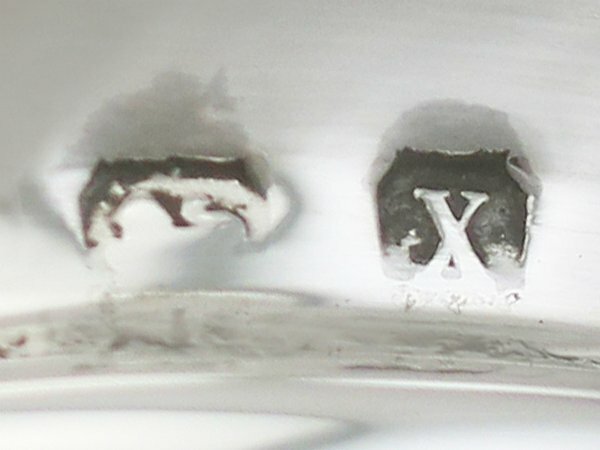 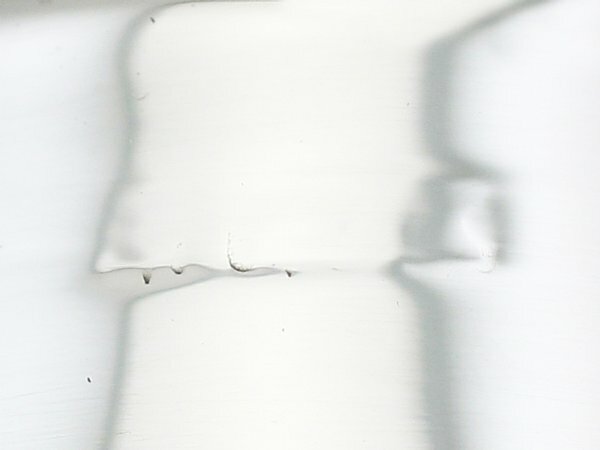 The part hallmarks to the surface of the cover are very clear.